At Blockgeeks we believe in practicing what we preach. 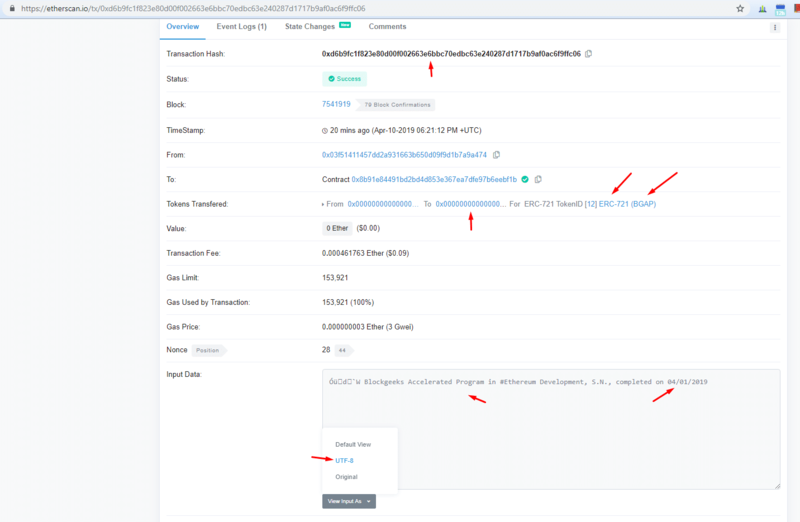 We use blockchain technology as a way to identify and verify each and every one of our Accelerated Program’s students. 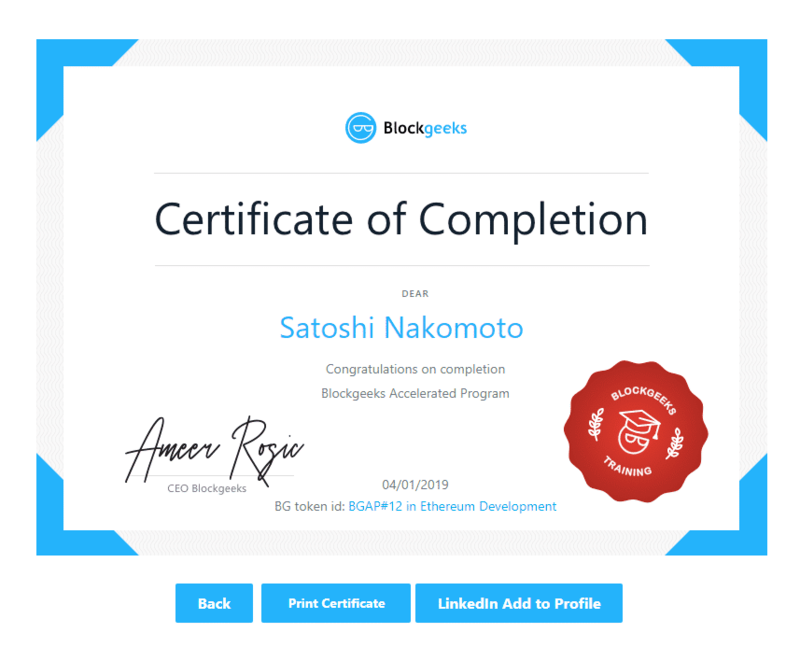 Upon completion of an Accelerated Program, a student earns a personal non-fungible Blockgeeks AP ERC721 token and certificate. Each token contains the initials of the student (full names are not included to protect privacy and avoid law violations) and the date of the day the course was completed. This token lives on the Ethereum Blockchain forever and serves as immutable proof to potential employers of a student’s expertise. You can also print it or add to your LinkedIn profile as well.